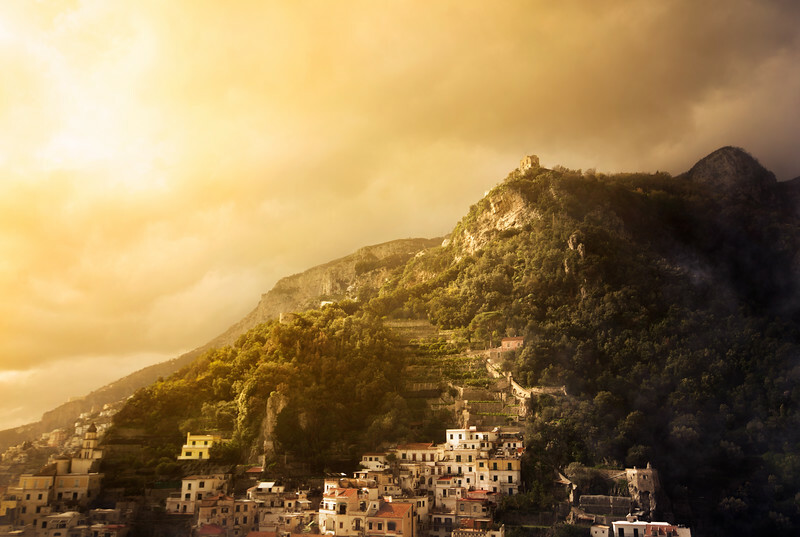 Amalfi is a little coast town in Italy - the one that gives the Amalfi coast its name. The awesome thing is that the place is surrounded by mountains, which creates absolutely fantastic scenes like this one. The not so great part is, that in order to get there, you really have to train your legs to make it through the small streets and the bazillion stairs! I found this spot here after I had crawled through the city for hours to get higher up - and I felt like this was the treat I had earned hard after sacrificing my legs, hehe.